Let's take a trip down memory lane to the early 1990's and get ready for a mind-blowing fact. "The Savage Dragon," is a series that debuted back then and is still coming out with the exact same original creator--Erik Larsen--and has no relaunches or reboots having happened. It is one of the longest-running comics with the same creator at the helm since its inception with only other books like, "Cerberus," and a handful of others (mainly if if you don't count renumbering) beating it. That is incredibly impressive and when one looks at the newest issues of, " The Savage Dragon," you can see how Larsen has both grown as a storyteller and illustrator as well as observe he was pretty solid right at the start. Yes, these early issues have some immense cliche's such as our protagonist having amnesia (resolved later on in the series) and random plot elements will pop-up and change at a jarring pace, but when you compare the latest issues to these you can see Larsen already laying a foundation for what has turned into an epic story full of generations of families, an ever-growing cast of characters, and Larsen's delightfully fluid art-style. Erik Larsen's art has always given me a bit of a Jack Kirby-vibe (in a good way). "The Savage Dragon," along with some other Image titles such as, "Spawn," are the O.G. books of Image back when it emerged in the 1990's as a creator response to the unfair conditions at work-for-hire companies. Image of course used to be more super-hero focused but in the decades since has grown into a publisher of a wide-range of quality titles. Now it is so big and successful you could argue the, "Big Two," of Marvel and DC really are the, "Big Three," with Image and its many smash-hits taking-up a big ol' chunk of the comic-market. 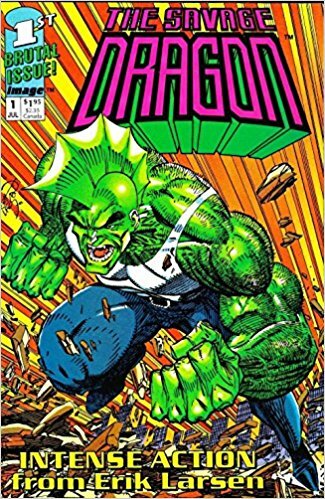 Reading these old issues of, "The Savage Dragon," is a delightful trip down memory lane for someone who first got into comic-books as a young man in the 1990's. The comic-book market of course eventually suffered a crash later on which many blame on a variety of factors (with Marvel and DC getting a ton more blame than Image, which thanks to its solid business planning survived that crash unlike many other then-smaller publishers), but through all the changes in the comic-book marketplace and the rest of the world, "The Savage Dragon," has kept coming-out at a rate that is occasionally sporadic and at other times very regular--regardless of how on-time or delayed it is however you can count on it eventually hitting the stands for your reading pleasure. 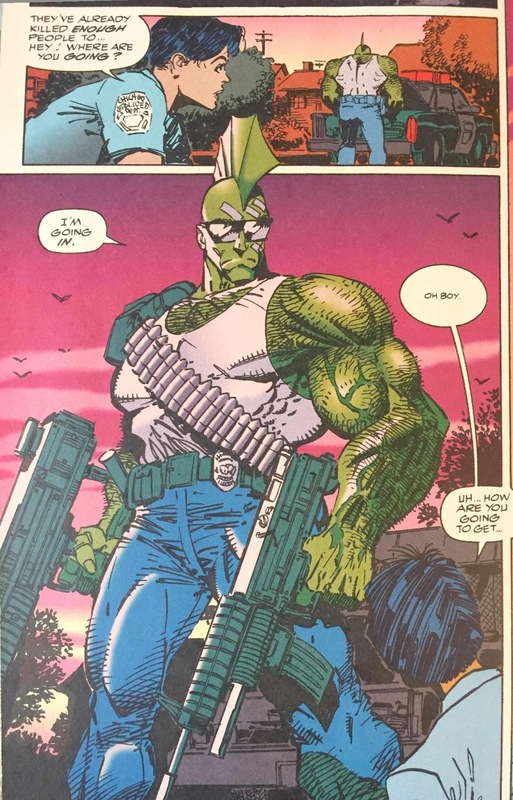 Erik Larsen's dedication to his comic over these many years is admirable, and the way he has altered and grown the comic with our changing times is just as impressive. It's a pleasant thing to think about--how Image and its focus on treating comic-book creators with respect resulted in so many great books coming out and continuing to be released. 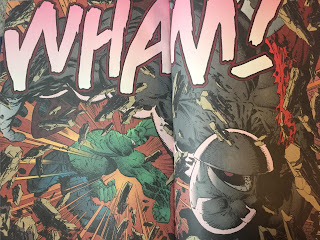 The continued success of, "The Savage Dragon," gives this edition of my spotlighting of dollar-bin books a rare happy ending among all the more tragic yarns, it would seem. Then again, you never know what to expect when reading...a tale from the dollar bin! My 2nd Time at the Toyman Show Was Stellar!